Sugarbloom Cupcakes - Perth WA: Sugarbloom Tall Cupcakes Tutorial! 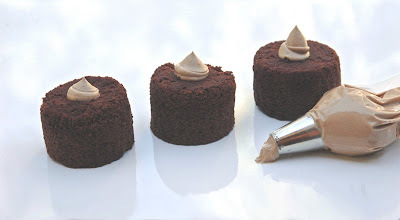 I’d like to share with you my process for making the incredibly popular Sugarbloom Tall Cupcakes. These cakes make a great little gift to say thank you to someone special or made en masse for important occasions, especially weddings. Inventing and adding your personal touch to the cakes by way of colour scheme, vellum (paper) pattern and fondant decorations and ribbon will give you the freedom to design Tall Cupcakes for each and every occasion that requires a stunning and personalised selection of cakes. Its possible for you to use any favourite cake and buttercream recipe to complete the Tall Cupcakes, so use a recipe that you are familiar with and that gives you good results. I find that most recipes will give you a quantity of around 12 cupcakes. Bearing in mind that there are 3 cupcakes per 1 Tall Cupcake you can work out your quantities and batches needed, today we will be concentrating on just one cake, when you are ready, you can make as many as you need at the same time following the following simple instructions. STEP 1 – BAKE THOSE CUPCAKES! Bake a batch of cupcakes( in paper liners or see note below) and allow them to cool completely. We will need only three from the batch but you may of course make more depending on your confidence. Pop the rest in the freezer for next time! When trialling the processes for making Tall Cupcakes I tried cutting the cylinders of cake from a sheet cake, but as there was a lot of waste involved (unusable areas between circles) it worked out more cost effective to bake cupcakes and use disposable liners and have minimal waste as you will see in the next step. NOTE * You could always use silicone cupcake bake cups if you have any luck with them (but I never have!) and this would reduce your waste even further. 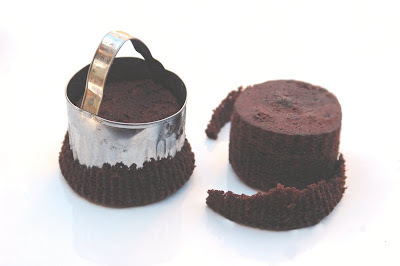 As pictured below, use a pastry cutter the same size as the base of the cupcakes and trim away the edges of the ‘tops’ so that you are left with a round, even cylindrical shaped cupcake. 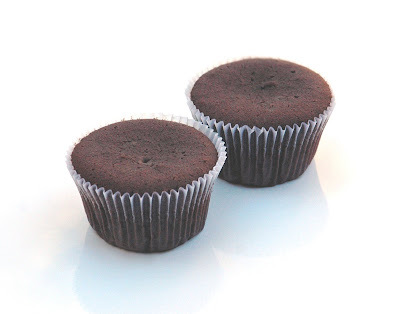 Use this step on all cupcakes to make them the same size, exactness matters! As you can see I use a (well used!) scalloped cutter as it seems to cut through the cake better that the smooth round ones. 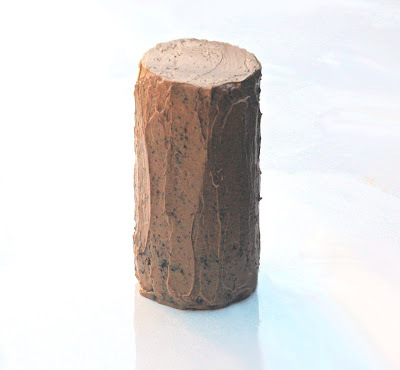 Using a small cylindrical tool with a diameter no larger than 20mm ( My specific tool of choice is the empty barrel of a whiteboard marker, cleaned and sanitised of course!) carefully punch the centres out of each cupcake. Discard the waste (by way of bin or nibbling). Clean up the work area and arrange all the punched cupcakes so they are in easy reach. Using a piping tip close to the same size as the centre hole, pipe your buttercream into the middle of each leaving a reasonable amount of peeping out from the top. Grab your small spatula and simply spread out the excess buttercream evenly over the top of each cupcake. Don’t worry about being too exact here as we will be stacking and applying a little pressure in the next step. There are 3 cupcakes to one Tall Cupcake so carefully and with minimal pressure, stack 3 cupcakes one on top of the other. If any buttercream squishes out from the joins just spread it around the cake. A coating of buttercream is used here to provide a crumb coat and good adhesion for the fondant layer in the next step. It is important that you chill the frosted cakes for about half an hour ( or less if you are impatient like me and end up popping them in the freezer for 15 minutes.). As you can see I am not very particular with the frosting in this step because once the fondant is applied the buttercream has started to soften again and is evened out by the pressure achieved by rolling the log shape on the work surface. While the frosted cakes are chilling in the fridge, prepare the fondant. 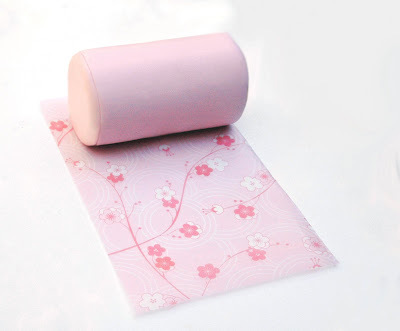 Colour the fondant to you desire hue, roll it to about a 5mm thickness and trim into a rectangle 130mm wide (this will be the height) and as wide as it needs to be to wrap around the cake. 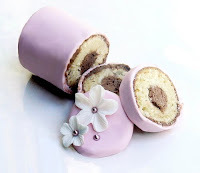 Remove your cake from the fridge and using the same technique for making Sushi, roll the cake up in the fondant. 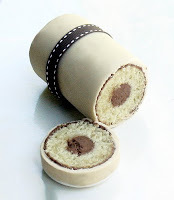 Using a float or icing smoother roll the cake back and forth to even out the underlying buttercream and remove any lumps and bumps. Pop the cake back into the fridge while you make the tops. 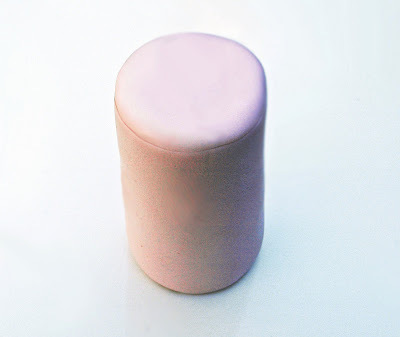 Roll out some more fondant in the same colour and thickness. 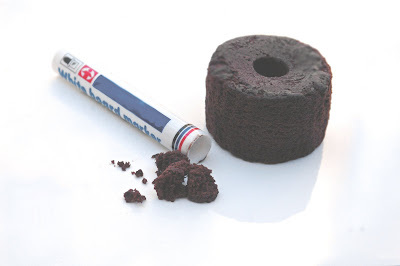 Use a circle cutter to cut the tops for the cakes. Remove the cake from the fridge and apply the tops. Using a smoother work the joins so they are as seamless as possible. I love the acid free translucent vellums available online or at craft stores. With such a huge range to choose from, I spent near a small fortune on these lovelies! 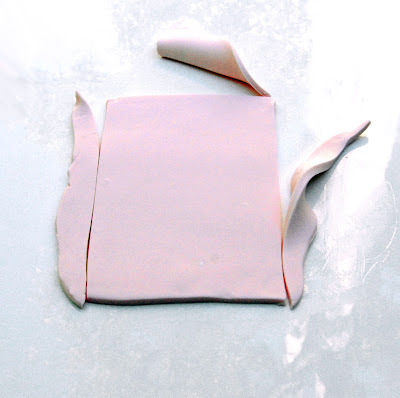 Simply cut your vellum or chosen paper to size allowing for a slight overhang at the top of the cake, of course if you’d rather have the paper sit flush with the top of the cake make the adjustments accordingly. 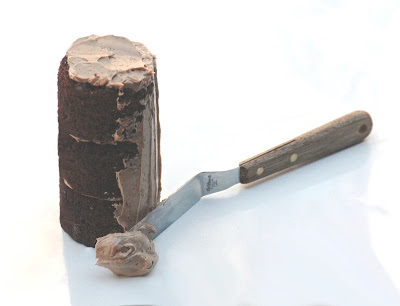 Roll the cake in the vellum and secure with glue dots or a small amount of sticking tape. Choose a ribbon to compliment your colour scheme and attach it to the cake, whether that be as a bow or minimal band. 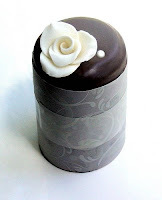 Make some pretty gumpaste /fondant decorations in whatever design you desire and apply to the top surface of the cake. Let your creativity run free! Wonderful idea! Thanks a lot for sharing it! Oh thank you for posting this! thank you so much for sharing !! you make it sound so easy !! Wow simply and beautiful thank you for sharing!!! Soooo Creative!! Thank you for sharing! I love them! So pretty and alot simpler than I thought they would be. What an awesome idea! And a tutorial to boot! I love this, and really want to give it a whirl. That is such a cool tutorial. Thanks heaps, they look fantastic! Quite a bite, three cupcakes! You are a genius! And they are so beautiful! wow - they are beautiful! You make it look easy - but it must be time consuming to ice the small cake so nicely. Thank you for the idea! Thanks for the feedback everyone, I will be posting more yummy little tutorials when I have a few minutes up my sleeve. If you want to send photos or cool ideas to enhance the Tall Cupcakes ideas I'll gladly post your input on the blog. Thank you so much for sharing your idea with all of us! I will definately give these a try, especially for my loved ones because these little beauties are so special! I love it when CRAFTY meets Cakes. The vellum is a BRILLIANT addition to the cake. This is a MUST TRY for me. I would love to feature you on my blog! Thank you for the tutorial. I have been wondering how to do these for awhile. These are great! Thanks for posting. I am sure going to try these out. I can see so many wonderful things being done with these. Already thinking about upcoming holidays . Thank you Bev for the tutorial. That was very generous to share such a great idea. They are wonderful! Such gorgeous cupcakes Bev! Thank you for the tutorial! This is brilliant! 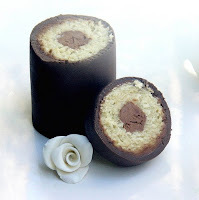 I posted a link to your wonderful tutorial on my ediblecrafts column (www.ediblecrafts.craftgossip.com). Hope to bring you even moooore clicks! How generous of your to share this with everyone!!!!! They are amazing and I cant wait to try it out!!! You're talent is inspiration! These are gorgeous! Thanks so much for sharing. 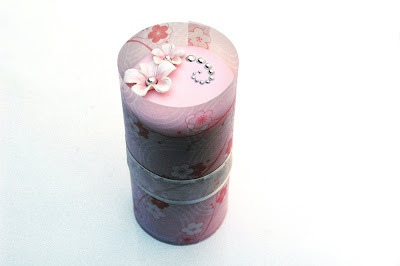 Thank you Bev...wonderful tutorial...I am having a go at making some now...hopefully they turn out okay!!! I can't wait to try these, they look so spectacular. You are very generous to share your ideas. I'm a huge admirer of your talent! one word. brilliant. I love it, thanks for sharing! I can't wait to make some of these, my sisters will love them! These are adorable.... thank you for an excellent step-by-step. Awesome looking. Great idea. Thanks for sharing. Thank you so much for sharing such a wonderul idea. This is truly amazing and creative. Thank you so much for the clear and visual tutorial. I cannot wait to try this. these are great have a few ideas whereI would like to give these a whirl! Thank you so much for sharing, you have a great talent. I can't wait to give this a go. These are ABSOLUTELY BEAUTIFUL and so creative! These are so beautiful. Some people do not like the taste or texture of fondant. What else can I do instead? This is a brilliant idea and thanks for sharing. Previously I had a mess trying to figure out how to make this. I used sheet cakes and tried to cut out the middle with a knife..Gosh, what a mess. Now, with this tutorial, you saved my day! One question Bev, you put the fondant covered cake in and out of the fridge, won't it cause condensation? I have previous experience with a fondant cake. I put the cake into the fridge before covering it with fondant and when I did, the fondant had an elephant skin-like appearance and the corners started to rip abit but didn't tear. 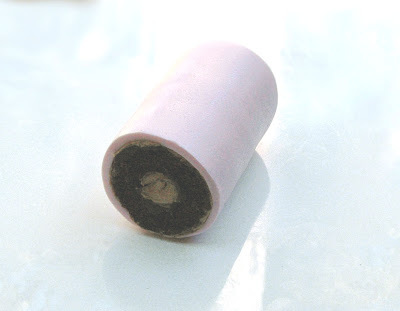 My fondant layer was about 5mm thick too as I rolled it using the pin guide. Any advice on this Bev? Great post and thanks for the detail step by step post. I hope you will continue working like this. Thanks Bev,what a wonderful tutorial.It always nice to get some tips from the pros! Thank you so much for this post! It is a wonderful idea and I can't wait to try it. These cupcakes are so cute what a creative idea, thanks for sharing these will make perfect desserts for a baby shower I'm planning. Also could you share a good recipe for buttercream with me? I'm just now getting into baking (I've always used boxed) and have never made buttercream frosting before and would love a good recipe. Thanks. Thank you so much for sharing this with us all. I think it is wonderful that someone as amazingly talented as yourself is kind enough to share a few secrets and allow your followers to attempt to make them too. I think you are brilliant AND sweet for sharing bits like that. I am not sure if I was half as clever as you I would be able to share so kindly, so thanks again, you are fab! PS: I missed you at the Upmarket as I couldnt get there until 2.30pm - I was so disappointed as your stall was the only one I was going to see. Next time Hubby will have the bub and I will be there the minute it opens! hello, what are those silver beads that you use all the time? I'm just starting out with this cake things -- lol i found it fun! :D Your work is amazing! These tall cupcakes are fantastic I have never seen anything like them before! In fact all your cakes are unusual and a breath of fresh air. AMAZING! i have never seen anything like these. they are cute and crafty and could be decorated in SO many ways. thanks a bunch for sharing! First of all thanks so much for sharing this genious idea! it's so beautiful and creative!! you're sooo talented! thanks again. You just saved me a lot of money! 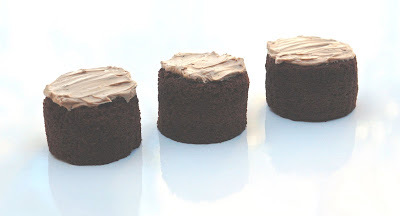 I was lost in trying to figure out to make mini cakes like this. The pans are extremely high priced. You are wonderful to share and such easy directions. I have everything at home already to do this too! Thanks everyone, I am so glad you found the tutorial and that you like it! What a beautiful idea! I am amazed! As I live in The Netherlands, Europe I am nog quite sure what 'vellum' paper is, can't seem to find a translation. Could you please explain to me what sort of paper it is and where I would be able to find it? Thanx ever so much, I would love to try your idea. Thanks for sharing...These are absolutely gorgeous!!! A definite must try! Parchment Vellum is the paper used in Pergamano I think? Those are pretty cool looking. I've never seen anything like them before! Kudos to you for coming up with the idea!!! Beautiful!!! Thanks for sharing this wonderful tutorial. it's really really great thanks a lot for sharing it in such an easy and practical way !!! Wow, I got to say those look so pretty that I would never dare to eat them! They are adorable! I bet my wife will love me so much when I show her this post. Thank you so much! Excellent site, keep up the good work my colleagues would love this. Thank you a lot for sharing this with us, really great post. Thanks for the experiment. I will try it. I have no words for this great post such a awe-some information i got gathered. Thanks to Author. Nike respect the heat. Asics Onitsuka Tiger Wearing Nike trainers shoes ran in the northern hemisphere, did you try? It's simple. Franklin Marshall Store You run slower in the heat; you run slower in humidity; if it's hot and humid you'll run significantly slower than on a cool, dry night. Now, you're probably thinking, the north face jackets "Great. I won't be able to run this summer in my town where it can be 90 plus degrees with 80 percent humidity." Not true. You can run, but you have to do three important things when training seriously in the heat of the summer. Just enjoy the summer months, Moncler Sale but be willing to alter your training in the heat.